That's my bad, sorry for that! Please start it again and it should now work. Looks like the driver is a few years newer (2013) than the one you currently have installed (2010). It's an old computer, so I wonder? Anyhow, what the forums are concerned: they are open! You should be able to activate yourself, but if not, let me know and I'll fix. What's your username for the forums? Thanks for those. I need some more details to look up your graphics card. "Intel® HD Graphics" is not enough? Is it a 3000, 510, 620 etc.? Do you have a more descriptive name. Anyhow, you can also check here https://downloadcenter.intel.com/ if you have the name. There should probably be a version higher than "8.15.10.2189"! Generally, those Intel HD Graphics aren't that great (bad quality). It's the graphics drivers. I am about 98% sure that updating them will fix the problem. I've seen similar screens from other players before. Updating their drivers fixed. You don't need to rename maps/etc. : it's a scroll panel. You can scroll down to see other maps/scenarios. It's not so clear given the graphics aren't rendering correctly. > ... Graphics drivers... were already updated as could be for the machine I was using. That's what Windows wants you to believe! It always says it's OK, even when it isn't. You need to manually check and update them. 1. what's your graphics card name? 2. what's the graphics card driver version number? I'll have a look and tell you where to update! Not from my side. I suggest, contact the map maker & ask him to change the names to English. I'll add it to the translations, so they can be translated back to Chinese for Chinese speakers. If you downloaded the ZIP, uncompress it first. Then/otherwise, simply run the executable! In the editor, there is an AI test-runner to test balancing. Otherwise, no, there is no such mode. Yes, just create a single player game! What's the error output? Can you look at your log files? Download version the latest version 1.0.21 of the modern world map! It now has bigger nations divided into e.g. east & west! I just released Demise of Nations. Demise of Nations is a 4X turn-based grand strategy wargame covering the rise of Rome till the fall of modern civilization. 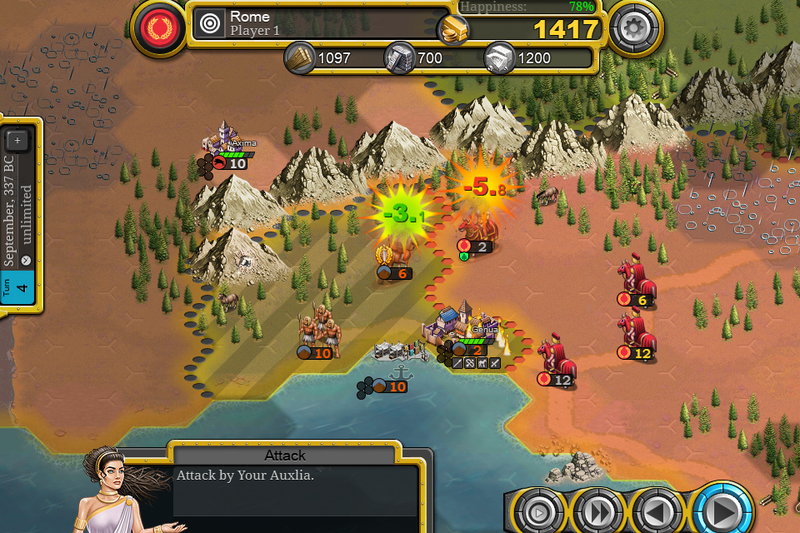 Command your armies in one of the many ancient and modern countries including the Roman Empire, British Islands, Germany, Japan or the United States. From Rome to modern nations, you create your own warring experience. Wage colossal wars solo, against the AI, or take on your gaming friends in cross-platform multiplayer games. Form alliances and fight co-op style with the AI and other players for ultimate victory. It's possible but it takes time. I suggest find a good artist and maybe someone that helps with modding. You need iOS 9+ and a 64bit processor at minimum. I am sorry for that, but anything lower and the game tends to crash on iOS. Yes, it might have something to do with the itch.io app if you are able to start the game directly. However, I assume you are successfully able to start other games!? What you could try (not sure if that's the case?) to move the itch.io app/game to a directory with only ASCII characters. E.g. from "C:\Über\..." --> "C\Uber\...". Not sure if that's where your games reside? If you have only ASCII characters for the game's path, it's odd that that error message would happen however. Maybe try to talk with the itch.io team as well? It seems the game doesn't like that path. However, generally, you given it's the portable version it should work in any path. Do you have any special characters in the install path of the game? Can you move the path in itch.io? That's an odd error message! Did you install it via the itch.io app? Can you download the game directly, unzip & run it! ?